Due to its large harbour and its strategic position along the East-West sea trade routes, Colombo was known to ancient traders 2,000 years ago. It was made the capital of the island when Sri Lanka was ceded to the British Empire in 1815,  and its status as capital was retained when the nation became independent in 1948. In 1978, when administrative functions were moved to Sri Jayawardenepura Kotte, Colombo was designated as the commercial capital of Sri Lanka. Like many cities, Colombo's urban area extends well beyond the boundaries of a single local authority, encompassing other municipal and urban councils such as Sri Jayawardenepura Kotte Municipal Council, Dehiwala Mount Lavinia Municipal Council, Kolonnawa Urban Council, Kaduwela Municipal Council and Kotikawatte Mulleriyawa Pradeshiya Sabha. The main city is home to a majority of Sri Lanka's corporate offices, restaurants and entertainment venues. Famous landmarks in Colombo include Galle Face Green, Viharamahadevi Park, Beira Lake, Colombo Racecourse, Planetarium, University of Colombo, Mount Lavinia beach, Nelum Pokuna Theatre, Colombo Lotus Tower as well as the National Museum. Galle Face is a 5 ha ocean-side urban park, which stretches for 500 m (1,600 ft) along the coast, in the heart of Colombo, the financial and business capital of Sri Lanka. The promenade was initially laid out in 1859 by Governor Sir Henry George Ward, although the original Galle Face Green extended over a much larger area than is seen today. The Galle Face Green was initially used for horse racing and as a golf course, but was also used for cricket, polo, football, tennis and rugby. Viharamahadevi Park is a public park located in Colombo, next to the National Museum in Sri Lanka. It is the oldest and largest park of the Port of Colombo. Situated in front of the colonial-era Town Hall building, the park is named after Queen Viharamahadevi, the mother of King Dutugamunu. The park was built on land donated to the Colombo city by Charles Henry de Soysa during the British rule of Sri Lanka, and used to be named "Victoria Park" after Queen Victoria. During World War II it was occupied by the British Army with Australian 17th Brigade based at Victoria Park. After the war the park was restored and open to the public in 1951. Beira Lake is a lake in the center of the city of Colombo in Sri Lanka. The lake is surrounded by many large businesses in the city. 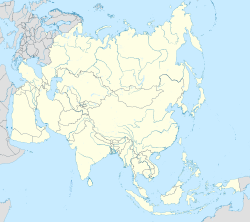 It initially occupied approximately 1.65 km2 (0.64 sq mi) of land 100 years ago and this has since been reduced to 0.65 km2 (0.25 sq mi) today due to various reasons. During the colonial era of the Portuguese, Dutch and the English the lake was used for a wide variety of purposes. It still retains its Portuguese name. It is connected to many intricate canals which provided an easy way of transporting goods within the city and suburban cities. The Kelani River is a 145-kilometre-long (90 mi) river in Sri Lanka. Ranking as the fourth-longest river in the country, it stretches from the Sri Pada Mountain Range to Colombo. It flows through or borders the Sri Lankan districts of Nuwara Eliya, Ratnapura, Kegalle, Gampaha and Colombo. The Kelani River also flows through the capital of Sri Lanka, Colombo, and provides 80% of its drinking water. Another belief is that the name is derived from the Sinhala name කොල-අඹ-තොටKola-amba-thota which means "Harbour with leafy mango trees". This coincides with Robert Knox's history of the island while he was a prisoner in Kandy. He writes that, "On the West the City of Columbo, so called from a Tree the Natives call Ambo, (which bears the Mango-fruit) growing in that place; but this never bare fruit, but onely leaves, which in their Language is Cola and thence they called the Tree Colambo: which the Christians in honour of Columbus turned to Columbo." Robert Knox was an English sea captain in the service of the British East India Company. He was the son of another sea captain, also named Robert Knox. Vedda is an endangered language which is used by the indigenous Vedda people of Sri Lanka. Additionally, communities such as Coast Veddas and Anuradhapura Veddas who do not strictly identify as Veddas also use words from the Vedda language in part for communication during hunting and or for religious chants, throughout the island. 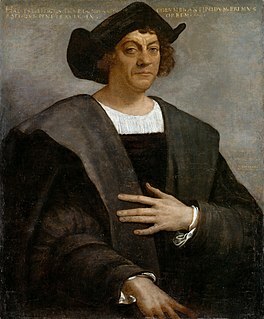 Portuguese explorers led by Dom Lourenço de Almeida first arrived in Sri Lanka in 1505. During their initial visit they made a treaty with the King of Kotte, Parakramabahu VIII (1484–1518), which enabled them to trade in the island's crop of cinnamon, which lay along the coastal areas of the island, including in Colombo. As part of the treaty, the Portuguese were given full authority over the coastline in exchange for the promise of guarding the coast against invaders. They were allowed to establish a trading post in Colombo. Within a short time, however, they expelled the Muslim inhabitants of Colombo and began to build a fort in 1517. The Portuguese soon realized that control of Sri Lanka was necessary for protection of their coastal establishments in India and they began to manipulate the rulers of the Kotte kingdom to gain control of the area. After skilfully exploiting rivalries within the royal family, they took control of a large area of the kingdom and the Sinhalese King Mayadunne established a new kingdom at Sitawaka, a domain in the Kotte kingdom. Before long he annexed much of the Kotte kingdom and forced the Portuguese to retreat to Colombo, which was repeatedly besieged by Mayadunne and the later kings of Sitawaka, forcing them to seek reinforcement from their major base in Goa, India. Following the fall of the kingdom in 1593, the Portuguese were able to establish complete control over the coastal area, with Colombo as their capital. This part of Colombo is still known as Fort and houses the presidential palace and the majority of Colombo's five star hotels. The area immediately outside Fort is known as Pettah (Sinhala : පිට කොටුවpiṭa koṭuva, "outer fort") and is a commercial hub. Historically, Colombo referred to the area around the Fort and Pettah Market which is famous for the variety of products available as well as the Khan Clock Tower, a local landmark. At present, it refers to the city limits of the Colombo Municipal Council. More often, the name is used for the Conurbation known as Greater Colombo, which encompasses several Municipal councils including Kotte, Dehiwela and Colombo. Colombo's geography is a mix of land and water. The city has many canals and, in the heart of the city, the 65-hectare (160-acre) Beira Lake. The lake is one of the most distinctive landmarks of Colombo, and was used for centuries by colonists to defend the city. It remains a popular attraction, hosting regattas,  and theatrical events on its shores. The Northern and North-Eastern border of the city of Colombo is formed by the Kelani River, which meets the sea in a part of the city known as the Modera (mōdara in Sinhala) which means river delta. The Colombo Metropolitan area has a GDP of $48 billion or 40% of the GDP, making it the most important aspect of the Sri Lankan economy. [ citation needed ]The per capita income of Colombo Metro area stood at US$8623 and purchasing power per capita of $25,117, making it one of the most prosperous regions in South Asia. The Colombo Metropolitan (CM) area is the most important industrial, commercial and administrative centre in Sri Lanka. A major share of the country's export-oriented manufacturing takes place in the CM area which is the engine of growth for Sri Lanka. The Sri Lanka Police the main law enforcement agency of the island liaise with the municipal council, but is under the control of the Ministry of Defence of the central government. Policing in Colombo and its suburbs falls within the Metropolitan Range headed by the Deputy Inspector General of Police (Metropolitan), this also includes the Colombo Crime Division. As with most Sri Lankan cities, the magistrate court handles felony crimes, the district court handles civil cases. Colombo has an extensive public transport system based on buses operated both by private operators and the government owned Sri Lanka Transport Board (SLTB). The three primary bus terminals – Bastian Mawatha, Central, and the Gunasinghapura Bus Terminals – are in Pettah. Bastian Mawatha handles long distance services whereas Gunasinghapura and Central handle local services. The Galle Face Green is the city's largest and most elegant promenade. Lined with coconut trees and adjacent to the coast, this mile-long stretch in the heart of the city is a constant beehive of activity. The green is especially busy on Fridays and Saturdays. In the evenings it plays host to families and children playing sports and flying kites, lovers embracing under umbrellas and health enthusiasts taking their evening walks. There are numerous small food stalls and a small stretch of beach. The green was recently[ when? ] given a makeover and since then has been even more popular with the local community. The Green frequently hosts international and local concerts and performances, such as the recently concluded World Drum Festival. Cannons that were once mounted on the rampart of the old fort of Colombo laid out for observance and prestige at the Green, giving a colonial touch to the city. The famous colonial styled Galle Face Hotel, known as Asia's Emerald on the Green since 1864, is adjacent to Galle Face Green. The hotel has played host to distinguished guests including the British Royal Family and other royal guests and celebrities. 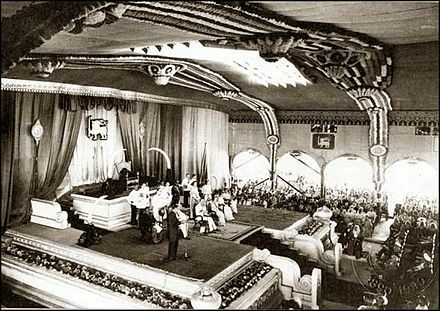 After a stay at the hotel, Princess Alexandra of Denmark commented that "the peacefulness and generosity encountered at the Galle Face Hotel cannot be matched." Also facing Galle Face Green is the Ceylon Inter-Continental Hotel, Sri Lanka's first five-star hotel. Around the corner from Galle Face are prominent coffee bars, chic bars and boutiques. Education institutions in Colombo have a long history. Colombo has many of the prominent public schools in the country, some of them government-owned and others private. Most of the prominent schools in the city date back to the 1800s when they were established during the British colonial rule,  such as the Royal College Colombo established in 1835. Certain urban schools of Sri Lanka have some religious alignment; this is partly due to the influence of British who established Christian missionary schools. These include the Anglican, Bishop's College(1875); the Methodist, Wesley College Colombo (1874); the Buddhist, Ananda College (1886); the Muslim, Zahira College (1892); the St.Benedict's College (1985), the Catholic, St. Joseph's College (1896). The religious alignments do not affect the curriculum of the school except for the demographics of the student population. Colombo has many International Schools that have come up in the recent years. Higher education in the city has a long history, beginning with the establishment of the Colombo Medical School (1870), the Colombo Law College (1875), School of Agriculture (1884) and the Government Technical College (1893). The first step in the creation of a University in Colombo was taken in 1913 with the establishment of the University College Colombo which prepared students for the external examinations of the University of London. This was followed by the establishment of the University of Ceylon in Colombo. Today the University of Colombo and the University of the Visual & Performing Arts are state universities in the city. The Sri Lanka Institute of Information Technology has a metropolitan campus in the city centre. There are several private higher education institutions in the city. Colombo's most beautiful festival is the celebration of Buddha's birth, enlightenment and death all falling on the same day. In Sinhala this is known as Vesak . During this festival, much of the city is decorated with lanterns, lights and special displays of light (known as thoran). The festival falls in mid May and lasts a week. Many Sri Lankans visit the city to see the lantern competitions and decorations. During this week people distribute, rice, drinks and other food items for free in dunsal which means charity place. These dunsal are popular amongst visitors from the suburbs. The Nelum Pokuna Mahinda Rajapaksa Theatre is a world-class theatre that opened in December 2011. Designed in the form of the Lotus Pond in Polonnaruwa,  the theatre is a major theatre destination. 1 2 "A6 : Population by ethnicity and district according to Divisional Secretary's Division, 2012". Census of Population & Housing, 2011. Department of Census & Statistics, Sri Lanka. ↑ Britannica World Data. Encyclopedia Britannica. 2014. p. 726. ISBN 9781625131713. ↑ "History of Parliament of Sri Lanka, "Colombo is the Commercial Capital now"". Official Sri Lanka government website. Archived from the original on 2014-12-20. Retrieved 2015-01-07. ↑ Kumarage A, Amal. "Impacts of Transportation Infrastructure and Services on Urban Poverty and Land Development in Colombo, Sri Lanka" (PDF). 1 November 2007. Global Urban Development Volume 3 Issue 1. Retrieved 8 March 2015. ↑ "The 10 Traits of Globally Fluent Metro Areas" (PDF). 2013. Brookings Institution. Archived from the original (PDF) on 2 April 2015. Retrieved 17 March 2015. ↑ "Colombo: The Heartbeat of Sri Lanka/ Metro Colombo Urban Development Project". 21 March 2013. The World Bank. Retrieved 17 March 2015. ↑ "Turning Sri Lanka's Urban Vision into Policy and Action" (PDF). UN Habitat. p. 7. Archived from the original (PDF) on 4 March 2016. ↑ "Colombo, The Famous Business Hub of Sri Lanka – Stories & Advice" . Retrieved 2018-12-20. ↑ Jayewarden. "How Colombo Derived its Name" . Retrieved 2007-01-18. 1 2 3 4 "History of Colombo". Archived from the original on 2011-12-02. Retrieved 2007-03-21. ↑ "Colombo – then and now". Padma Edirisinghe. The Sunday Observer. 14 February 2004. Archived from the original on 30 September 2007. ↑ John, Still (1996). Index to the Mahawansa:Together with Chronological Table of Wars and Genealogical Trees. AES. p. 85. ISBN 978-81-206-1203-7. ↑ Prof. Manawadu, Samitha. "Cultural Routes of Sri Lanka As Extensions of International Itineraries : Identification of Their Impacts on Tangible & Intangible Heritage" (PDF). p. 3. Retrieved 2007-01-17. 1 2 3 4 "European Encroachment and Dominance:The Portuguese". Sri Lanka: A Country Study. Retrieved 2006-12-02. ↑ Ross, Russell R.; Savada, Andrea Matles (1990). Sri Lanka: A Country Study. Defence Dept., Army. p. 360. ISBN 978-0-16-024055-3. 1 2 "European Encroachment and Dominance: The Dutch". Sri Lanka: A Country study. Retrieved 2006-12-02. 1 2 Ross, Russell R.; Savada, Andrea Matles (1990). Sri Lanka: A Country Study. Defense Dept., Army. p. 360. ISBN 978-0-16-024055-3. 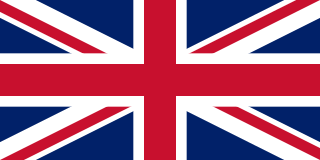 ↑ "European Encroachment and Dominance: The British Replace the Dutch". Sri Lanka: A Country study. Retrieved 2006-12-02. 1 2 3 Adrian, Wijemanne (1996). War and Peace in Post-Colonial Ceylon 1948–1991. Orient Longman. p. 111. ISBN 978-81-250-0364-9. ↑ "Colombo weather". Archived from the original on 2009-10-05. Retrieved 2006-12-02. 1 2 "World Weather Information Service – Colombo". World Meteorological Organization. Retrieved November 19, 2016. 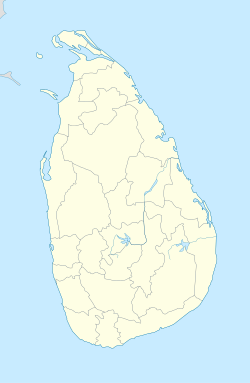 ↑ "Colombo Climate Normals 1961–1990". National Oceanic and Atmospheric Administration . Retrieved November 19, 2016. ↑ "Klimatafel von Colombo (Kolamba) / Sri Lanka (Ceylon)" (PDF). Baseline climate means (1961–1990) from stations all over the world (in German). Deutscher Wetterdienst. Retrieved November 19, 2016. ↑ "Gangaramaya Temple". John Keells Hotels Group. Archived from the original on 10 May 2012. Retrieved 30 April 2012. ↑ "Colombo Municipal Council". Archived from the original on 2018-04-13. Retrieved 2018-04-13. 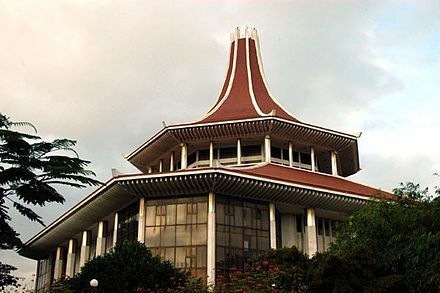 ↑ "The Supreme Court of Sri Lanka". Justice Ministry. Archived from the original on November 18, 2011. Retrieved November 22, 2016. ↑ "Ministries of Sri Lanka Government". Government of Sri Lanka. Archived from the original on March 9, 2007. Retrieved November 22, 2016. 1 2 "Colombo Economy" . Retrieved 29 December 2012. ↑ "Press release 20010712" (PDF). CBSL . 10 July 2011. Archived from the original (PDF) on 22 July 2011. Retrieved 2 April 2013. ↑ "Executive Summary The Colombo Metropolitan (CM) area" (PDF). Ministry of Defence & Urban Development. Archived from the original (PDF) on 10 August 2012. Retrieved 29 December 2012. ↑ The drama behind the arrest of Sepala Eknayake, by Edward Gunawardena Retd. Senior Deputy Inspector General of Police. Island.lk. ↑ "Travel Warning, United States Department of State". Archived from the original on September 22, 2006. Retrieved November 22, 2016. ↑ "Colombo". lanka-houses.com. Retrieved 29 December 2012. ↑ Hasintha Weragala, Things to do in Sri Lanka (2018-11-27). "Guide map of bus terminals in Colombo". thingstodoinsrilanla.lk. Retrieved 2018-11-27. ↑ "A Speedy and safe journey to Galle". Dailynews.lk. 2011-08-16. Retrieved 2013-01-01. ↑ Gamini Gunaratna, Sri Lanka News Paper by LankaPage.com (LLC) (2011-11-07). "Nearly half of the work completed on outer circular highway around Sri Lankan capital". Colombopage.com. Retrieved 2013-01-01. ↑ Tuticorin-Colombo ferry sets sail. Times of India. (2011-06-14). ↑ "Princess Alexandra's Visit". Archived from the original on April 13, 2007. Retrieved November 22, 2016. ↑ "Historical Overview of Education in Sri Lanka, The British Period: (1796–1948)". Archived from the original on April 11, 2011. Retrieved November 22, 2016. 1 2 Harsha, Aturupane; Paul Glewwe; Wisniewski Suzanne (July 2007). "The Impact of School Quality, Socio-Economic Factors and Child Health on Students' Academic Performance: Evidence from Sri Lankan Primary Schools" (PDF). Colombo: World Bank. Retrieved 2007-07-27. ↑ Harsha, Aturupane; Paul Glewwe; Wisniewski Suzanne (February 2005). Treasures of the Education System in Sri Lanka: Restoring Performance, Expanding Opportunities and Enhancing Prospects (PDF). World Bank Report. Colombo: World Bank. ISBN 978-955-8908-14-3 . Retrieved 2007-07-27. 1 2 "History of the University of Colombo". Archived from the original on October 14, 2008. Retrieved November 22, 2016. 1 2 3 4 Colombo Fort. Kermeey.blogspot.com (2006-02-19). Retrieved on 2011-10-17. 1 2 3 4 "Tintagel, Colombo". Reddottours.com. 2010-01-07. Retrieved 2013-01-01. 1 2 Venerable Mahinda. "Significance of Vesak". www.buddhanet.net. Retrieved 2007-02-19. ↑ "Nelum Pokuna". Daily Mirror. 2011-12-15. Retrieved 2011-12-15. ↑ "History of Colombo National Museum" . Retrieved 2007-02-02. 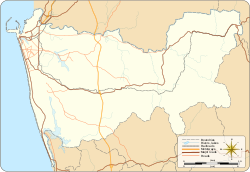 Dehiwala-Mount Lavinia, population 245,974 (2012) is the largest suburb of the City of Colombo, and covers an extent of 2109 hectares. It lies south of the Colombo Municipal Council area and separated from it by the Dehiwala canal which forms the northern boundary of DMMC. Its southern limits lie in Borupana Road and the eastern boundary is Weras Ganga with its canal system and including some areas to its east. This town has extensive population and rapid industrialization and urbanization in recent years. It is home to Sri Lanka's National Zoological Gardens, which remains one of Asia's largest. Colombo South Teaching Hospital, Kalubowila and Colombo Airport, Ratmalana are some important landmark in this area. Dehiwela-Mount Lavinia and Sri Jayawardenapura Kotte being two large suburban centers of the city of Colombo function together as one large urban agglomeration in the Region. The overspill from the City in residential and commercial uses of land have rapidly urbanised these suburban centers. Dehiwela-Mount Lavinia and Sri Jayawardenpaura along with Colombo Municipal Council form the most urbanized part of the core area of the Colombo Metropolitan Region. Dehiwala and Mount Lavinia lie along the Galle Road artery, which runs along the coast to the south of the country. Negombo is a major city in Sri Lanka, situated on the west coast and at the mouth of the Negombo Lagoon, in Western Province. Battaramulla is a suburb of the city of Colombo, situated 5.2 miles from the City Centre at Colombo Fort, near the Parliament of Sri Lanka. It is one of the fastest developing administrative, commercial and residential areas in the Colombo District being home to the country's elite. By present Battaramulla has been an important town in Sri Lanka, because of the Sri Lanka government decided to locate all the government department head offices in this town. Malabe is a suburb of Colombo in the Colombo District, Sri Lanka. It is situated on the New Kandy Road about 10 km (6.2 mi) away from the centre of the commercial capital Colombo. This suburb is a very important economic center in Colombo city. Fort is the central business district of Colombo in Sri Lanka. It is the financial district of Colombo and the location of the Colombo Stock Exchange (CSE) and the World Trade Centre of Colombo from which the CSE operates. It is also the location of the Bank of Ceylon headquarters. Along the foreshore of the Fort area is the Galle Face Green Promenade, built in 1859 under the governance of Sir Henry George Ward, the Governor of Ceylon during British colonial administration. Fort is also home to the General Post Office, hotels, government departments and offices. The Kingdom of Kotte, centered on Sri Jayawardenepura Kotte, was a kingdom that flourished in Sri Lanka during the 15th century. The Port of Colombo is the largest and busiest port in Sri Lanka. Located in Colombo, on the southwestern shores on the Kelani River, it serves as an important terminal in Asia due to its strategic location in the Indian Ocean. During the 1980s, the port underwent rapid modernization with the installation of Cranes, Gantries and other modern-day terminal requirements. The Old Parliament Building, is the building that houses the Presidential Secretariat of Sri Lanka. Situated in the Colombo fort area facing the sea, it is in close proximity to the President's House, Colombo and adjacent to the General Treasury Building. The building housed the island's legislature for 53 years until the new parliamentary complex was opened at Sri Jayawardenepura in 1983. The Sri Lankan Parliament Complex is a public building and landmark that houses the Parliament of Sri Lanka. Situated in Sri Jayawardenepura Kotte, the administrative capital, it is built on an island, surrounded by the Diyawanna Oya. It was designed by Deshamanya Geoffrey Bawa. Kayman's Gate was an entrance to the former Colombo Fort located at the foot of the Wolvendaal Hill in the Pettah district of Colombo, Sri Lanka. A historic free-standing bell tower still stands at the site, now at the intersection of Main and 4th Cross Streets.